Greg at Virtual iTour was an absolute pleasure to work with. His efficiency in the lead up to the photo shoot and attention to detail on the day were superb. The turnaround time was extremely quick and the end result exactly what I was after and more. I received several compliments from within my organisation also. Overall, I had a very positive experience and would recommend highly. Greg was exceptionally thorough and professional in his work for us at Hemingway’s Brewery. He was conscientious and enthusiastic about the project and we are so very pleased with the results. The virtual tour is a great way to advertise our space considering our destination location, and the still photographs he took are truly stunning. We look forward to working with him again in our future venues. Greg, having looked at what you have done for others was the reasoning behind our decision to go ahead and have it done for our Club. However, I was amazed with the final product. I couldn’t believe the brightness, crispness and clarity of both the Tour and Pictures you provided. I would not hesitate to recommend your work to others. Keep up the good work ! LHI recently undertook to redevelop our website and contracted Greg Cust @ Virtual itour (Virtual Tour Specialists) to produce Virtual itours for each of our 2 Residential Care sites and our 2 Independent Living Villages. Throughout the project development process Greg has been very obliging and has willingly contributed excellent suggestions on every occasion that we have consulted with him. During the days when Greg was ‘shooting on-site’ he was warm and engaging and his interactions with staff and Residents who were in the vicinity, was outstanding. Greg achieved a higher than expected presentation and even returned to repeat the filming when the weather was not in our favour. LHI is extremely happy with the result of the four tours that were produced and recommend Greg and his team to any organisation considering a similar project. 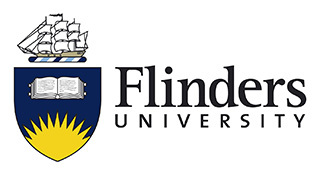 We believe the Virtual itours have greatly assisted LHIs objective of becoming a preferred Aged Care organisation. If you are considering using Greg Cust from Virtual iTour to increase your visitation, income and profit I would highly recommend doing so. The Port Douglas Yacht Club is a unique venue which is difficult to capture with photographs. This was done to perfection and gives our potential clientele a much more appealing and realistic view of what the Club has to offer. I estimate our investment in the Virtual Tour will increase our annual income by 20%. I cannot recommend this product enough. A picture paints 1000 words. A virtual tour is infinitely awesome. Port Douglas Yacht Club Inc.
Anglican Care contracted with Virtual itour to put together a number of virtual tours and still photographs of our residential aged care homes and retirement villages for our new website. We have been very happy with the results and found Greg really great to work with and very keen to deliver a quality product to us. We will definitely be using Greg and Virtual itour again in the near future. Greg you are amazing !!! I couldn’t believe how fantastic the end result was. The images are bright, crisp and clear. As we are in service all day from 7am until 11pm with no breaks, Greg only had a couple of daylight hours in the very early morning, and he had to work his magic quickly. The feedback on our Virtual itour & Photos has been incredible. Many thanks from a very happy customer. Greg was amazing to work with. He was punctual, professional and didn’t mind working anytime of the day or night. He traveled from the city to country locations and was always happy to do it. Our virtual itour(s) for The Watershed Cafe @ Mawson Lakes & The Waterhole Function Centre @ Monarto Zoo were absolutely perfect with an exceptionally decent price. Nothing was too much trouble for Greg. I Just want to say how happy we are with the virtual tour and photos you took of the wedding set up on the Sugar Wharf for Port Douglas Catering & Events. Your professionalism was outstanding and work ethic on the day was superb, easy to deal with and nothing was a drama on the day or in the lead up to the event. Price wise was very competitive and the finished product is outstanding, the best available, you looked after us like it was your own business, we can’t thank you enough. I look forward to working with you on more projects ahead and for helping put Port Douglas Catering on the map as the ‘No.1 Wedding Caterer’ in Far North Queensland and Port Douglas as a destination, so from all of us at Port Douglas Catering & Events, we love your work ! 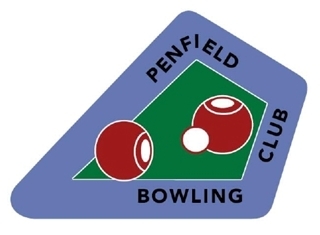 Penfield Bowling Club is proud to have been the first bowling club in Australia to have a Virtual itour. Once Greg had put it all together and presented it to the members, we could all see how beneficial this would be to the club. It has been added to our newly formed home page and already we have had numerous hits and 3 new members. The advertising potential is so huge that it is almost incalculable. The professional finished product is well worth the outlay that would be involved for any club to enhance their overall advertising to the public. Not only can this be on your website home page, it can also be posted to places like You Tube for further exposure and with the new type of digital “QR” Code you can even carry it around on your IPhone, iPad or business card. We would recommend that you take the idea to your committee and get them to start talks with Greg @ Virtual itour Adelaide, you won’t be sorry. The RSL Brighton Sub-Branch was recently chosen to be the trial facility for use of a virtual tour by the State RSL Office SA. How it would be prepared and the outcome was an unknown to us all at Brighton. It is pleasing to be able to report that the virtual tour shoot was carried out with minimum disruption to our facility activity. It was possible to film at a time during a ‘quiet’ period at the club, so we needed Virtual itour to be available over part of 2 days to get what we and Greg, considered would be the best possible result. The approach to members going about their business in the building and on the bowling green was very professional and assured their best possible co-operation to ensure the virtual tour and photos were able to be taken to achieve the desired result. Those that have viewed the final result have been very pleased with the outcome, it is about to be loaded to our website. We consider this will add considerable value to our website to be viewed by potential new members and also those considering hiring the premises for functions. The Salisbury RSL Sub-branch recently took part in the production of a virtual Itour of our premises at Park Terrace Salisbury, this resulting from an initiative of the RSL State Branch. The production of the virtual tour was completed with no disruption to the operation of our Sub-Branch. The company, Virtual itour, planned the whole production around our activities to ensure there would be no inconvenience to us. We were very pleased with the cooperation shown and would say, very professionally done. Those who have viewed the virtual tour have remarked on the quality of the product and the benefit this will be to us here at Salisbury RSL in promoting our Sub-branch further to the local community and potential members. Thank you Virtual itour for this. I have been looking for over a couple of months to find a virtual tour that was going to work for us in the time frame we had & provide what I wanted to appear. After our first meeting with Greg & going through some of the sample itours, it was clear that this was an up to date platform that was going to be simple for our clients to use & I could insert additional information such as menus & specials within the itour. The down time for the restaurant was almost nil as Greg was flexible & was able to fit in with the business. The finished product was first class & I would not hesitate to recommend this to any business. “DPS is proud to support Virtual itour as a provider of virtual tour technology. DPS will host and promote any Virtual itour production free of charge for existing customers of DPS at www.AgedCareGuide.com.au with an existing full profile. I contacted Greg @ Virtual itour to photograph Ecorise @ Playford, which is our 7 Star energy rated, affordable and sustainable housing project at Munno Para West. Greg was able to create ‘virtual furniture’ in an otherwise empty unit bringing it to life for our potential buyers with superb quality HD images, floor plans and we are also booking the state of the art 360 Virtual Tours, that after comparing several in the market, leave us in no doubt that they are indeed the specialists in the field with a product that is definitely the most advanced available. Greg Cust from Virtual itour Adelaide, is a talented photographer who produces quality work. He does his best to make you feel comfortable during the photo shoot. Not only does he make the shoot an enjoyable experience, but he has an artistic eye that can find the perfect background where you least expect it. The photos look great and I highly recommend Greg to anyone in need of photography services.